Computer Aided Design is not essential for design, but, like word processing software is to writers, it makes it a hell of a lot easier to work with! 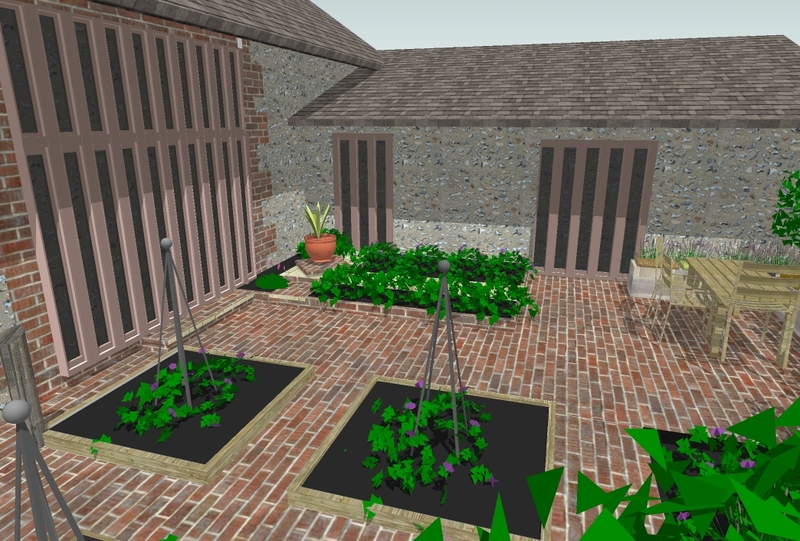 I use Vectorworks, the leading CAD solution for Landscape Architecture and Garden Design and Sketchup which is very useful 3D modeling software, helping the client visualise the plan. I also offer a draughting service to other designers or people who wish to put their ideas into a format usable by a landscape contractor. Alternatively I can teach those wishing to learn Vectorworks or Sketchup software. 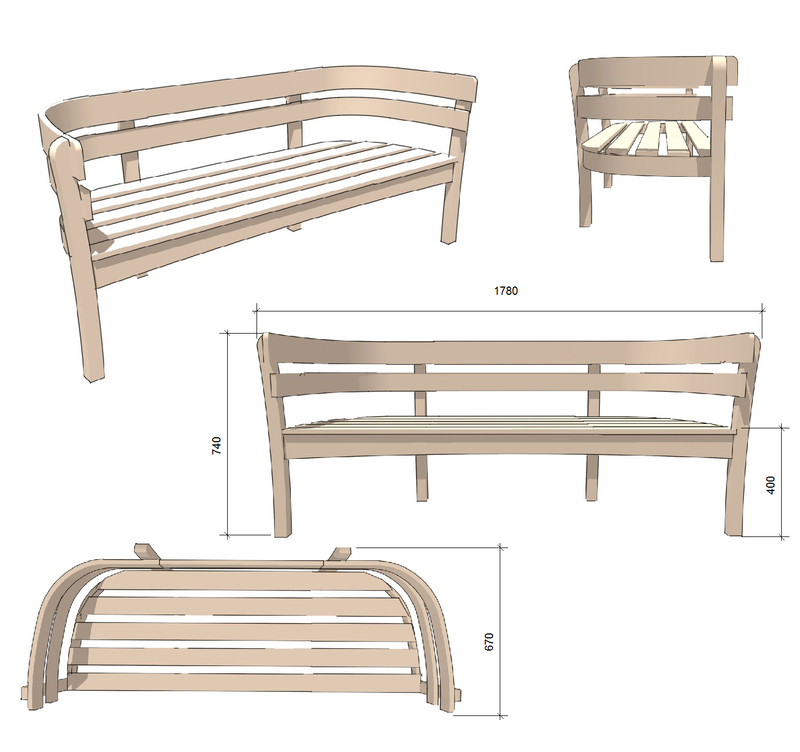 CAD helps the designer to accurately express their ideas and the client to visualise them. 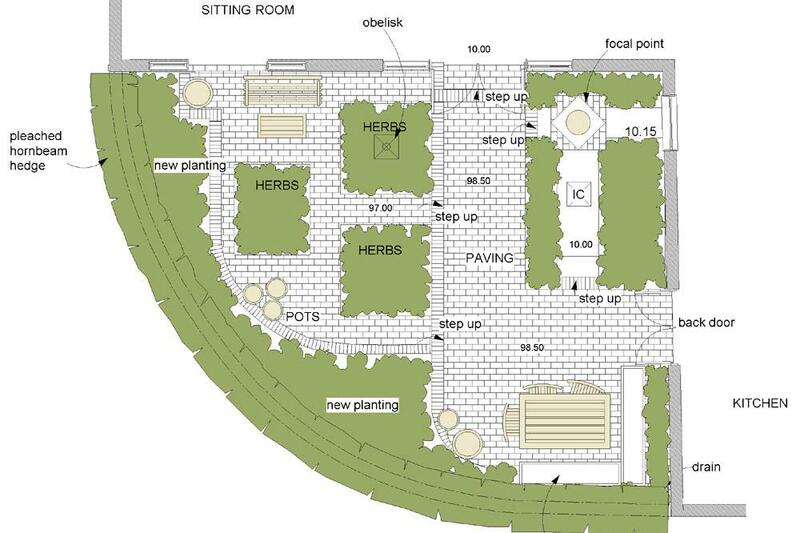 Crucially, the drawings give the landscape contractor the ‘blueprint’ to accurately build it. 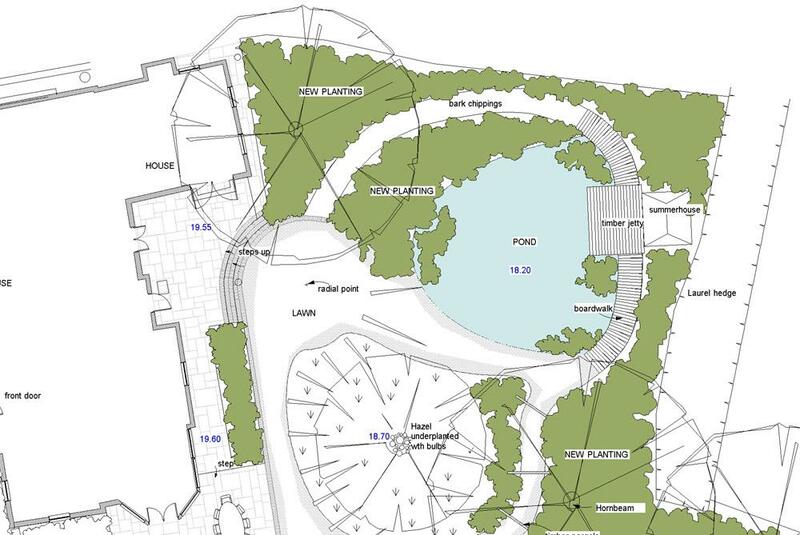 CAD drawings are also very helpful with details like how to build a particular feature; e.g a pond, a pergola or a boathouse. These are sections of designs by Nigel Philips (nigelphilips.co.uk). I drafted for Nigel during my 3 years as CAD technician in his busy design office using Vectorworks. CAD is particularly great for alterations, which are part and parcel of the design process. Imagine having to re-draw the whole thing when you drew that line in the wrong place… It is also great for accuracy, for re-scaling and for calculating areas which can be tricky with irregular shapes. I also use Sketchup, intended for 3D sketching. It is completely free, so if you have the patience to learn how to use it well, it can be really useful. It’s literally like building a model in 3D of the design, except instead of using bits of cardboard and model train set trees you ‘virtually’ do it on the computer. Once you’ve built the model you can use the mouse and shortcut keys to travel anywhere in it much like in a computer game. Nigel really liked the “Fly-bys” we created. We made little animations as if you were flying round the garden in a helicopter. They could be a great selling point for his bigger clients. We added a Roxy Music soundtrack to one of them, to give the whole thing a bit of humour and appeal to one of his “made it in the 80’s” clients. We bespoke printed CDs with a scene of the garden and they became forms of advertising in themselves. Here are a couple of stills from the fly-bys. The first one is the same design as the 2nd drawing at the top of the page. Sometimes I use Sketchup to help me design as well as help a client visualise. It’s a very good tool, and because I know my way round it so well, sometimes it is easier for me build what I had in mind to see if it looks right, then adjust it accordingly. That’s just the way I like to work. It is also useful to help design something, like this bench here, and then get a carpenter to price it up.